O.o that composition looks amazing. I love the wooden look on her face! Are you going to give the "Victims" a terrified looks? 7 Days to Go :D!! Good luck! Very good! the gesture of art we sensational! For an old lady I find her very pretty some how haha, it's looking awesome! I love the design of this! 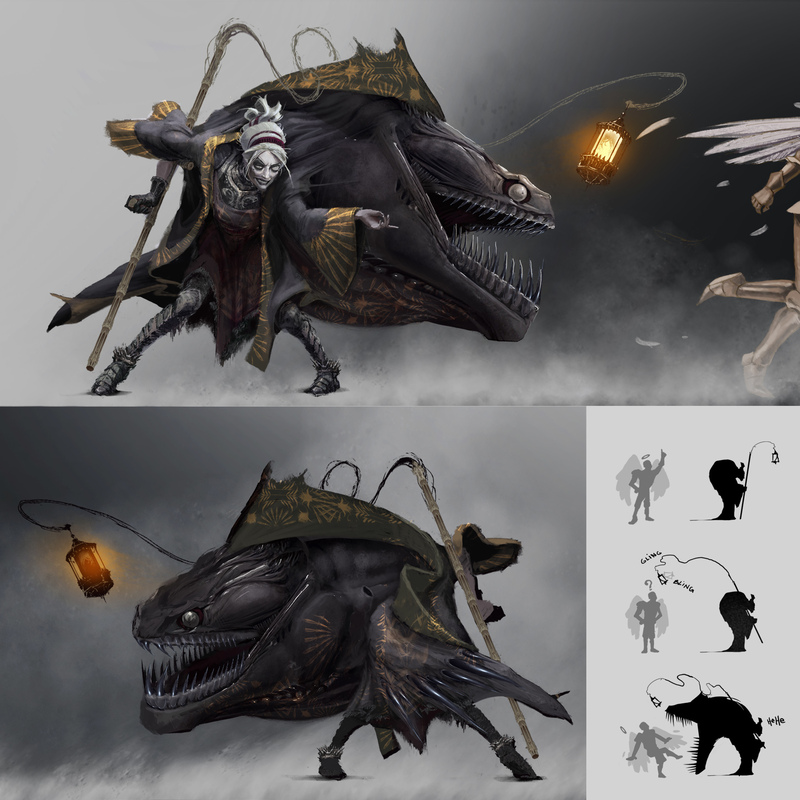 The moray/angler fish with the lantern is really cool and I liked the way you handled the pose with the crutch. Good stuff! 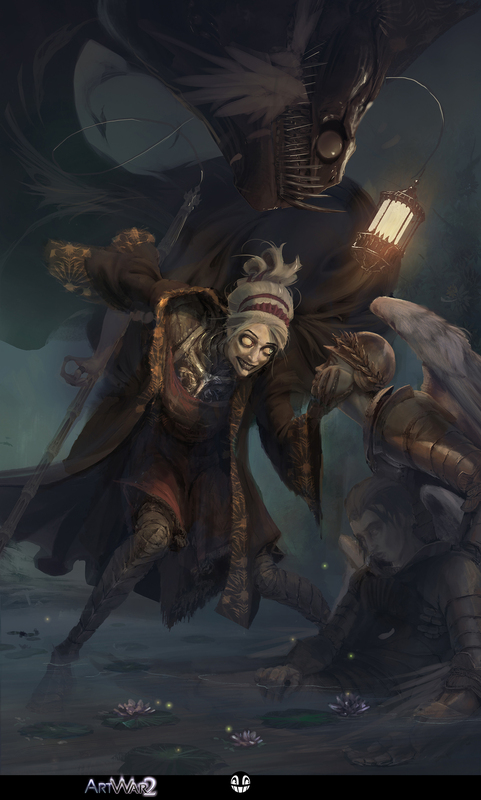 I decided to crop the composition to get more focus on the main character. Still a lot of work to do during the weekend, yeepee! As per usual critics and comments are welcome and super usefull. @rgdraw Simer! 3 days to go. 3days!!! Congratulations on finishing your artwork within the deadline. 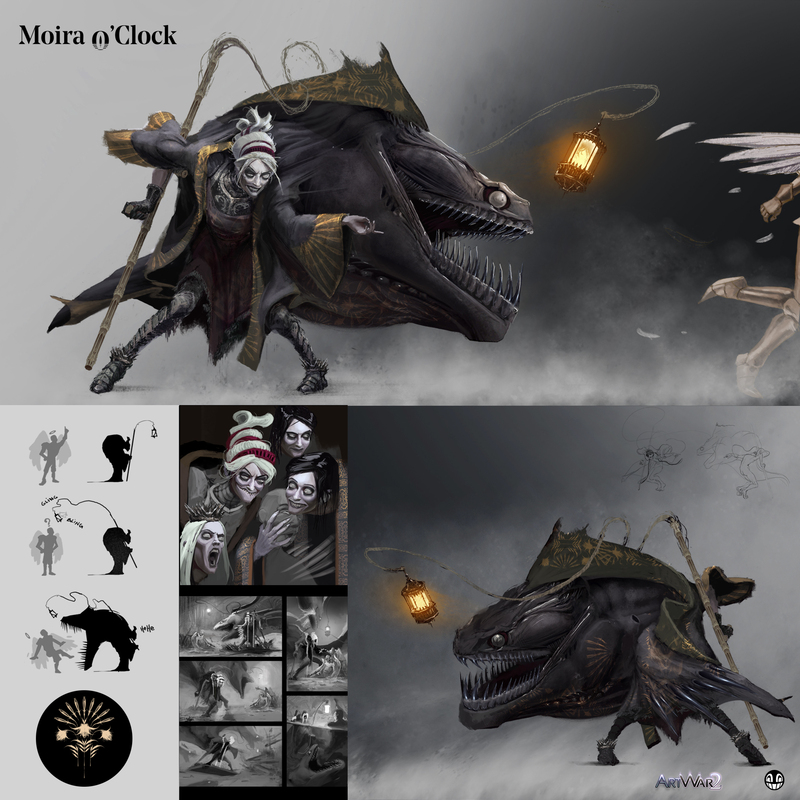 @meonika Great advice, it helped to dramatically change the thing. Enjoy! @tbrk Thanks, We can do it! Good luck for the finishing straight line. @infintas Sorry, i changed the composition, ahah. I'll try to give them a more terrified look. Thank for the encouragements! @angiekatneko Ahah, thanks for her. She wants to meet you tonight for dinner. I don't know what it mean. I will not disapoint you @blacktorne !!!!!!! Seeing how you welcome critiques (I'm really nitpicking here :D) - maybe define the handle of her crutch/staff/stick-o-doom a little bit (like you did the rest of it), because right now it's merging with the background and I had to do a double-take at her hand/ how exactly she's holding the weapon. Maybe you're simply yet to finish that part. In any case - really really cool! Good luck! I agree with @sparksofdawn about the stick-o-doom handle, but it also looks a little transparent in the body where it overlaps her cloak. If I were to be super picky I would also mention the ripples from her leg and the angel resting in the water. It looks a little too sharp and empty. Maybe just add a few more lines like you already have and then use smudge or liquify on the parts that are under the water. Overall I think this turned out great. I wouldn't be surprised at all if this is one of the winners. Its an interesting idea, a cool design, lots of personality, and painted very well. Good job! The illustration is looking better and better, wish you the best of luck! Your final design is looking pretty nice! Great job! I actually like her expression a lot XD the whole environment fits that dark theme. Again great job! OMG. She is literally AWESOME!! Great work!!! Congrats on finishing! Now, officially - she turned out awesome! Awesome work! Turned out amazing!! Congrats for finishing! Great work dude !